Mr Ike Ekweremadu, The Deputy Senate President, has been reportedly attacked at his Abuja residence. This was revealed in a statement released by his spokesperson, Uche Anichukwu. 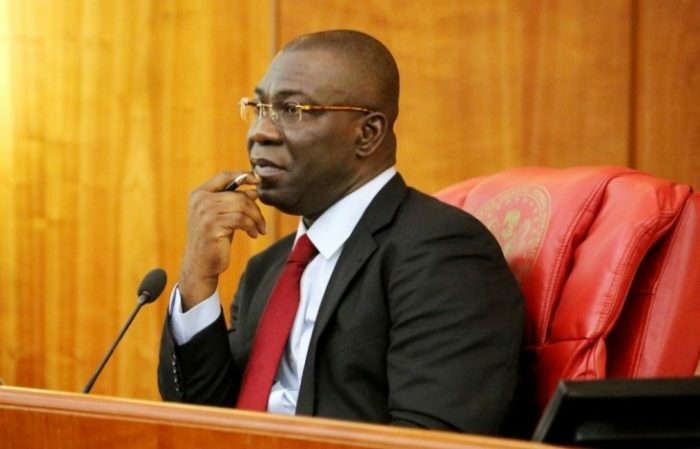 According to Uche Anichukwu, some armed men discreetly evaded the security at Ekweremadu’s Apo Quarters residence, to gain entry into his house. The incident took place at about 4am on Tuesday, November 5. “The Deputy President of the Senate, Senator Ike Ekweremadu, his wife, and son escaped an assassination attempt at about 4am on Tuesday. “The armed men discreetly evaded the security at Ekweremadu’s Apo Quarters residence, to gain entry into his house. “The attackers, who could not immediately shoot in order not to attract the attention of the security personnel on duty, took hold of his son, and commanded him to lead them the Senator’s bedroom. “Ekweremadu, his wife, and one of his sons were in the house at the time of the attack. “It could be recalled that the lawmaker narrowly escaped an attempt on his life in Abuja on November 17, 2015. “Although the 2015 incident was reported to the security agencies, nothing has been heard about the matter till date.